My Sandwich Sense is telling me that it's time for Part 2 of our Sandwich Tour of Dallas (you can find Part 1 here). My first stop was a home run. Jimmy's Food Store at Bryan Street & Fitzhugh is part specialty food shop, part sandwich shop and all Italian. It's a small place but it is packed with wine, meat, cheese, sauces, spices and everything that you would need to cook an authentic Italian meal but can't find anywhere else. The lunch rush was busy but manageable for a newbie like me. Sandwiches are ordered (and made) in the back at a butcher station where you could also pick up any number of meats and cheeses. 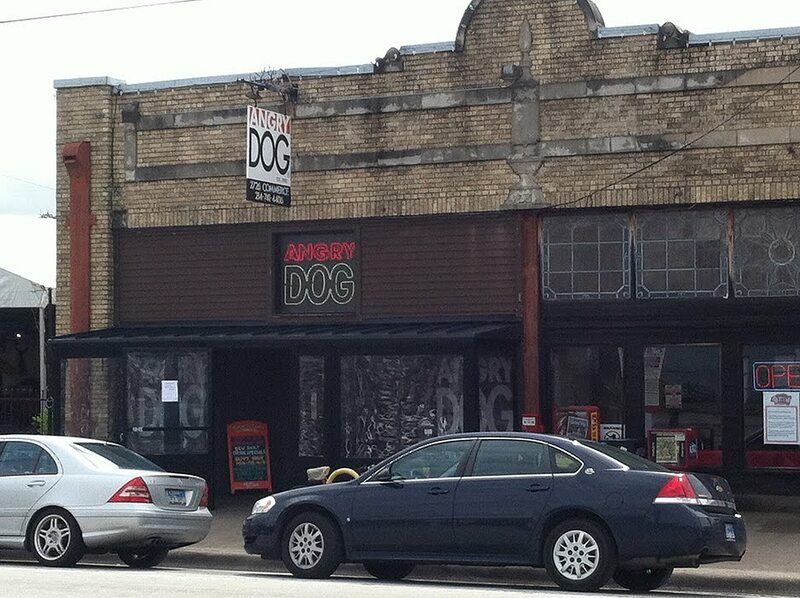 You can tell the quality of a food spot by a good mix of clientele. Yuppies, hippies and everything in between were ordering the day I went. Good food is truly a unifying force. 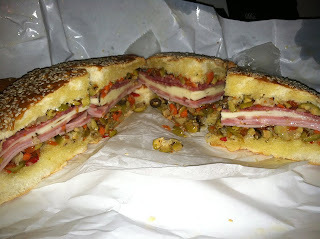 But on to my order...check out the Muffuletta. This was a good life lesson for me. Apparently I have no sense of size because I ordered the 9 inch muffuletta instead of the 6 inch and was staggered at how big it was. It could easily feed three people (maybe more). It comes with Mortadella, Ham, Provolone, Genoa Salami, Olive Salad. The olives were great and meat and cheese are very complimentary to each other. If I have any complaint it's that there was a lot of olive oil. It was really good olive oil but there was too much of it. That being said, I still haven't finished this monster (but I will soon). Next time I'll get the smaller one. The Angry Dog in Deep Ellum is known for its heavy-sitting, yet tasty bar food. 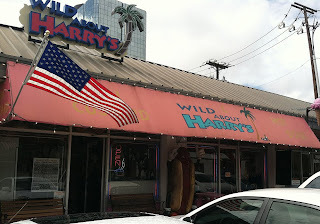 I usually get their signature chili dog but thought I'd go with something lighter to cleanse the palate. 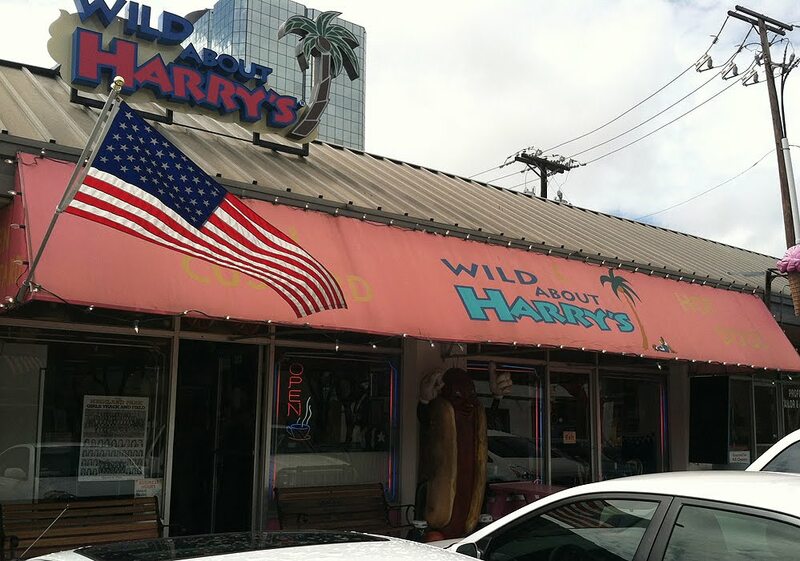 They offer a vegetarian sandwich called "The Natural" and it was calling to me. 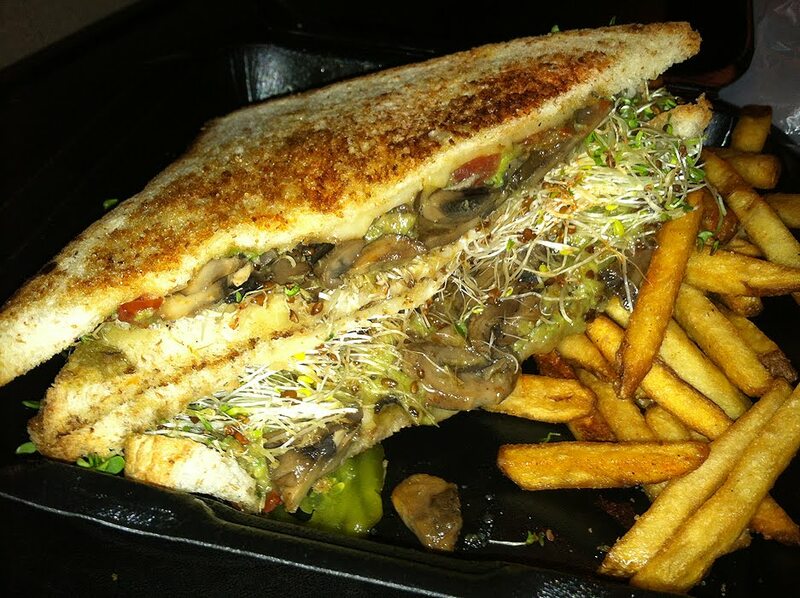 The Natural comes with Guacamole, Grilled mushrooms, sprouts and Monterrey Jack. While it may seem somewhat minimalist, it actually works well as a filling meal. The large size doesn't hurt either. The guacamole was smooth and creamy and I could have actually used a little more of it (of course, I really like guacamole) but it was relegated to the supporting role that condiments must play in the theater of sandwich. The mushrooms work well as the "meat" but I could have used a little more "zing" in the seasoning. The bread was soft and for once the texture of toasted bread didn't irritate me. I usually don't get sides (I'm all about the star attraction) but this comes with fries. I would give you some flowery detailed breakdown of them but...eh...fries are fries. 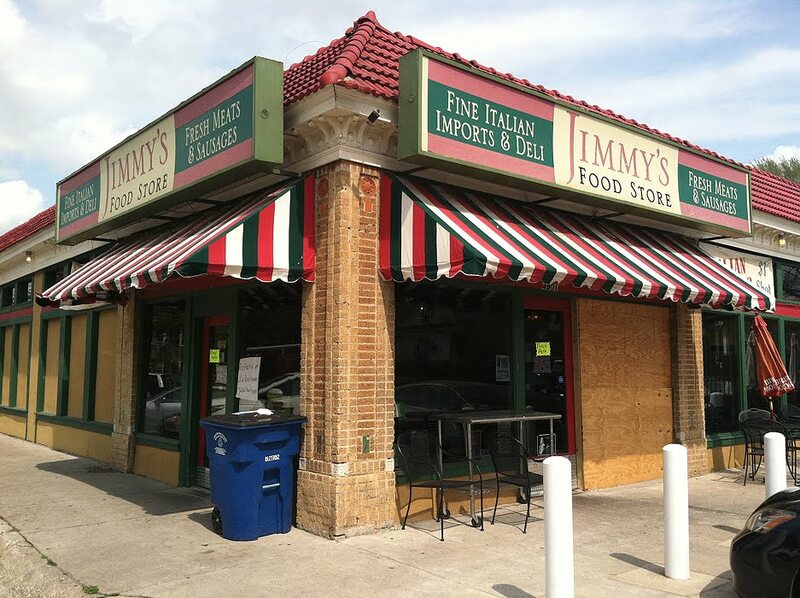 I picked up the Italian Beef Sandwich and didn't regret it. Not too big, not too small. The main difference between this and your standard cheese steak sandwich is that they use mozzarella instead of provolone and I have to say I'm glad they did. It creates a melty, gooey mesh with the beef and adds another level of texture to what could have been a by-the-numbers meal. The meat wasn't fatty but it could have used a little salt or seasoning. 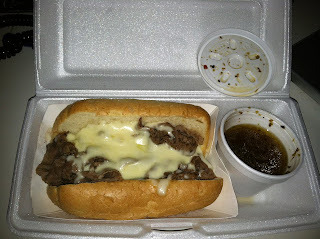 The Au jus (which may just be my favorite all time liquid) was great and was readily soaked up by the soft bun. What other wonders does this town have snugly nestled between tow slices of bread? We'll just have to wait and see.